No fix price plans - all our cost are variable and based on your real usage. No credit card needed! No obligations! For each word in your project, excluding versions. The charge for words reflect costs for storage and network usage. Every modification done via editor or API gets counted (Excluding save missings, translation orders). This cost reflects the usage of locize and enables us to charge less in times you use locize less. Download of translations from our CDN to your users get accounted. This costs are only charged if you directly use the translations served from our CDN. Regular downloads are public. So those translations would be visible to public even during development. To avoid leaking confidation informations during development (eg. new features) you can use private publish options which only enables downloads using an API key - so the translations are not public accessible. 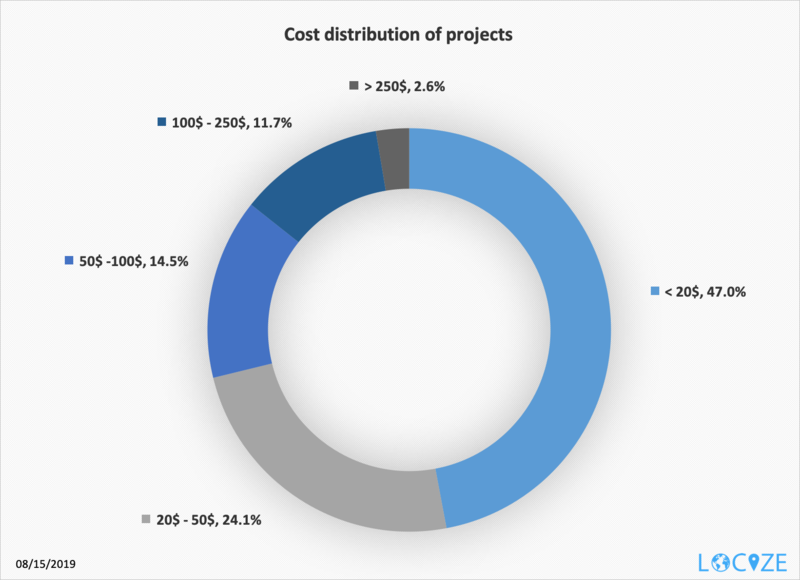 On your projects billing page you will always keep the overview over your costs. A calculation example can be found here. While fixed plans are more common - variable prices are fair. There are no permanent big raises of costs which were introduced by having to switch to a bigger plan because your plan reached a limit or because you needed some feature that was locked behind a paywall. Never being forced to be auto upgraded from a $49 to a $199 plan just because you cross a limit (words, pageviews, languages, users) just marginally (your real usage would be around $50 - but the plan forces you to use the "large plan" starting at $199). What costs do we have to expect? Get any questions you may have about our pricing or platform answered by one of our team members.